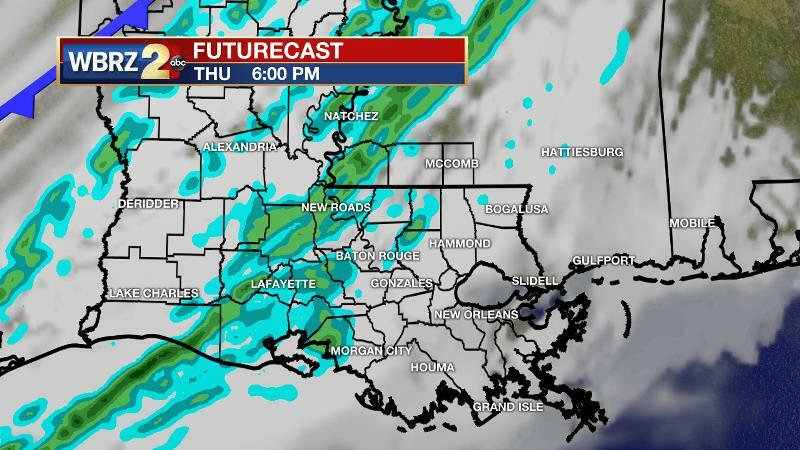 The next two afternoons will be primarily rain free but bring continued cloud cover and unseasonably warm temperatures. Your next change up will come Thursday night into Friday. Today and Tonight: While the low cloud deck will persist early, some breaks of sun are anticipated by afternoon. Depending on how much sun is gathered, thermometers have a good chance at breaking 80 degrees in many locations. The record high for the date is 81 degrees, set back in 1957. Southeast winds will continue overnight so expect low temperatures to stay in the upper 60s with clouds and fog. Up Next: At least for the daylight hours, Thursday may duplicate Wednesday’s weather. The next cold front will push into the area Thursday evening with a bout of rain and possibly some thunderstorms. This front will result in quickly falling temperatures into Friday, restoring at or below average temperatures. The front will not flush away all low level moisture and some clouds will stick around. It looks as though this cool stretch will be short, possibly only lasting a day or two before mild air returns. Moisture continues to increase across southeast Louisiana and southwest Mississippi as dew points have made it into the mid to upper 60s. These numbers are above water temperatures in the northern Gulf of Mexico and with continued southeast winds, widespread advection fog has become dense near the coast. A slight upper level ridge will build across the area on Wednesday, which should be enough to temporarily take rain chances off of the board. Additionally, warming in the vertical profile will translate to the surface. 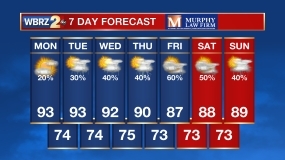 Especially where some sunshine breaks out on Wednesday, the first 80 degree reading of 2019 is on the table. A broad trough will move across the country Thursday and Friday, sending a cold front through the local area. The basin of the trough will remain well north of the region along with the prime ingredients for severe weather. A band of rain and embedded thunderstorms will move through Thursday evening and end Friday morning with temperatures rapidly falling behind this activity. Highs and lows will tumble by a good 20 degrees for Friday and Saturday. The cold front is expected to stall in the central Gulf and retreat north as warm front by the second half of the weekend. This will return milder air, clouds and showers for Sunday into Monday.